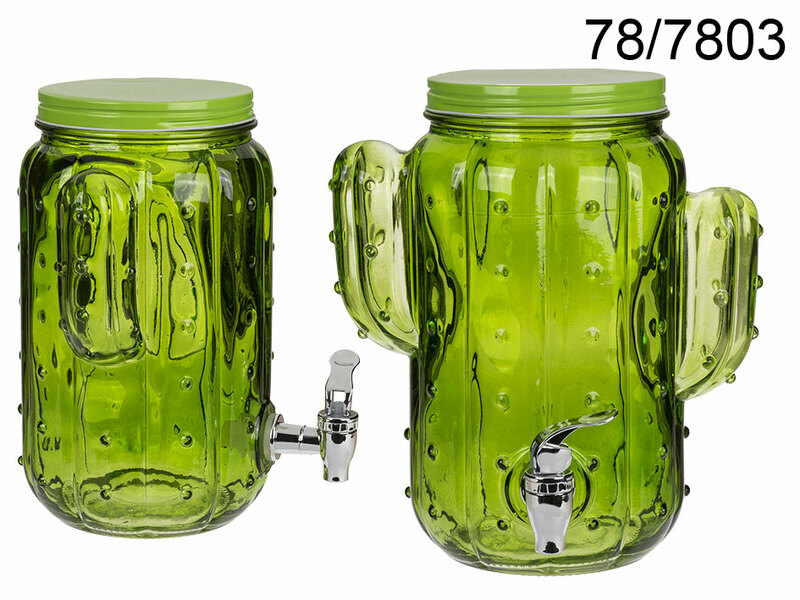 Large green glass jar in the shape of a cactus - perfect for yummy chilled lemonade on hot summer days. Thanks to the handy metal spigot, you'll fill the glasses of your guests in no time. Owing to the lid the drink won't spill, even if you move the jar. Lovely vintage-inspired item for summer outdoor parties.